Over the Easter weekend GBS will be closed both Bank Holiday Friday and Monday, but open as usual on Saturday 10am till 3pm. The GBS Track Day this weekend (Sunday 31st March) at Blyton Park is now fully booked, its great to see many other Zero’s booked onto the GBS Track Day. All are welcome to join us for the day, if your not taking part your welcome to come along and spectate or have a ride out on the track in the GBS Zero with one of the GBS team. We look forward to seeing you all there! 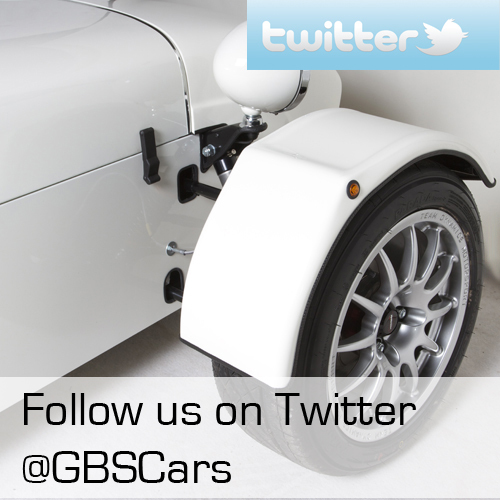 You can now follow GBS on twitter at @GBSCars become a fan of GBS and Kit Spares on facebook.